Finally, a chance to lose some money. 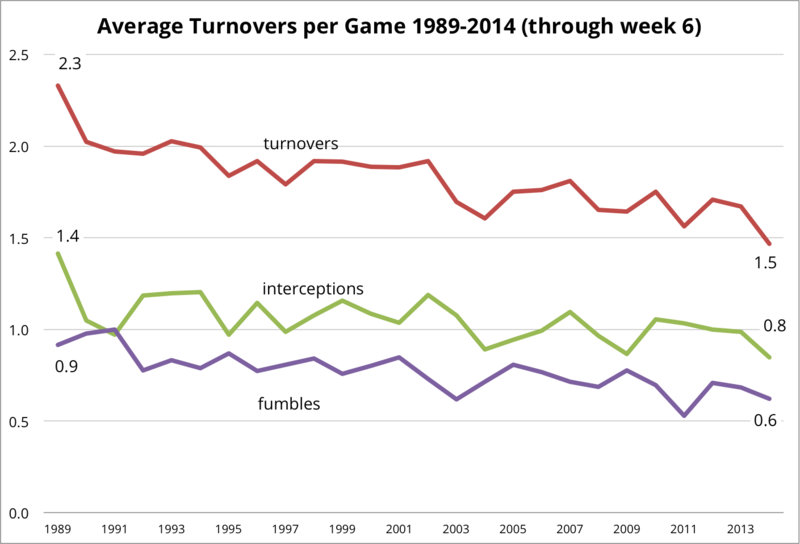 Week seven marks the first official appearance of the Turnover Index. The Turnover Index is a simple betting strategy based on the theory that the market overvalues defensive turnovers when judging team strength. See here and here for more background. 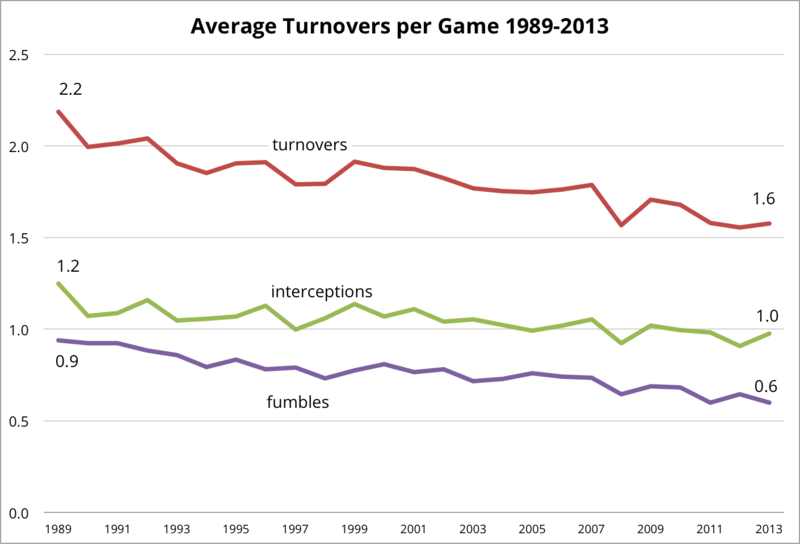 It is interesting that fumbles show a more steady decline than interceptions. With rule changes that have favored the passing game, I would have expected a bigger decline in interceptions, not fumbles. So, for the first week, we will be wagering 5.2% of our bankroll.